Heading to the big ticket items like the Grotto or Sauble Beach are fantastic ways to start off planning your vacation - but it doesn't show you everything! 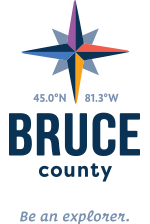 To truly explore Bruce County, head off the main road, turn down the side road and lose yourself in the beauty that comes from this area. We've found and limited ourselves to showing you only 101 Places to Explore. See below for a just a few of them and where you can go to find your downloadable copy of the 101 book! In Oliphant, Lake Huron is shallow for as far as the eye can see and the wind blows in two different directions almost daily. It is, quite possibly, Ontario's best kite surfing location for beginners and experts alike! For those who aren't as keen to try out this sport, #35 in the 101 book the Oliphant fen boardwalk might be the spot for you! Built by local naturalists, the boardwalk features a wonderful spot for birding and exposes the vibrant colour of the wildflowers. South of the excitement in downtown Port Elgin lies this peaceful cottage community and it's beautiful, shallow, sand beach. Explore Port Elgin, then take a step back and enjoy the peaceful serenity at Gobles Grove while still being close to town. The Carrick Tract is one of four Mountain Biking Tracts within Bruce County and is said to be the best of the four by the locals. Ortman’s Way is a double track trail, which is suitable for beginners and leads to Short but Sweet and Down and Out, which are considered easier trails. Be sure to check out the Carrick Tract information before heading out and remember: Always wear your helmet and ride within your ability!